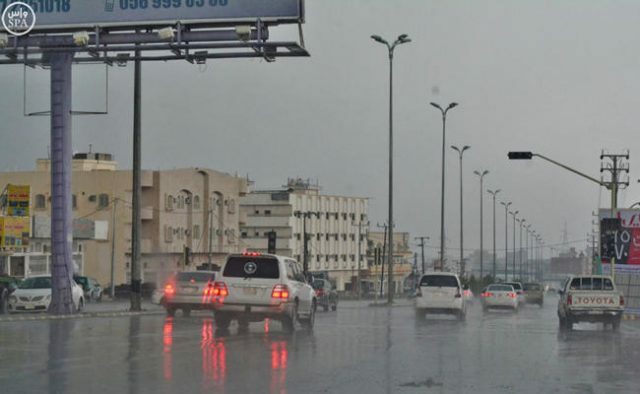 Saudi Arabia’s meteorologists warned on Wednesday that thunder and dust storms will hit Makkah and other nearby areas overnight. The General Authority of Meteorology and Environmental Protection issued a warning to residents in Makkah, Khalees, Rabegh, Al-Jumoom that the storm would start early evening and last until 1 a.m. The Department of Civil Defense in the region called on the citizens and residents to avoid walking in water ponds and valleys near the mountainous areas. The statement also warned residents to avoid using mobile phones in lighting conditions.